Located next to Schiphol Airport, Amsterdam’s international gateway, HollandWorld has ambitious goals. Originally conceived in 2014 as a tourist destination anchored by a fashion outlet, the project lost steam and went through a redesign and planning process from 2015-2017. The revived project is now more of an integrated resort, with hotels as a major element and financial driver. With over 4,000 hotel rooms planned, the vision for HollandWorld combines hospitality, F&B, leisure and retail into one destination. Influencing the decision to redesign the property was the growing body of Chinese tourists and the expectation of hosting many of them in The Netherlands (see “Chinese tourists: a primary and growing market for visitor attractions” by Rona Gindin, InPark issue 75). Outbound Chinese travelers are expected to surpass 150 million in 2018 and the total could grow to as much as 260 million by 2030, observed Hans van Driem, managing partner at International Destination Strategies, one of HollandWorld’s key backers during a special press conference at EAS 2018. • Holland FlowerWorld: Surrounded by tulips, guests will experience the critical flower trade that has defined modern Holland. 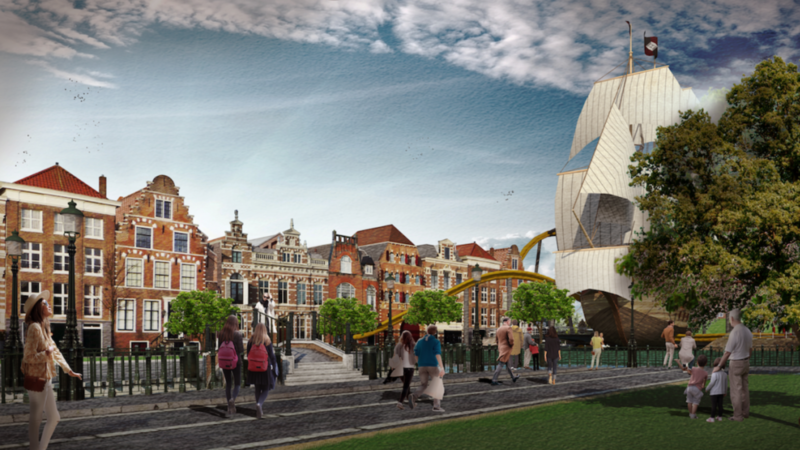 • Holland HistoryWorld: Guests will enjoy an interactive museum that celebrates the likes of Rembrandt and Van Gogh. • Holland WaterWorld: The Dutch are proud of their history of living with the forces of nature, especially water. Experiences will highlight the knowledge the Dutch have gained and include a year-round indoor waterpark. • Holland WinterWorld: Designed as a full indoor experience, guests can try ice skating and other winter activities year-round. • Holland Show&Fun City: With a focus on music and Dutch brewing history, this area is expected to be the entertainment hub of the development. HollandWorld is not being designed to replace tourist visits to the central Amsterdam hotspots. Instead, it is being designed as a “day two” destination, aiming to capture visitors after they have already seen the more traditional sights. Unlimited Leisure Group co-owns and operates several companies with core activities in the leisure and entertainment marketplace. Kees Albers heads up Unlimited Leisure, which is the co-owner of the IP for HollandWorld at the location Park 21. Outside of HollandWorld, Unlimited Leisure develops a variety of mixed-use experiences around the world. Their specialty areas include snow and ice leisure destinations, ticketing and queuing technologies and attraction photograph and video services. According to Albers, the HollandWorld development is designed to be environmentally responsible and be a low-emissions venue.